*NEW*!!! 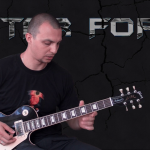 Learn How to play "Who Knows" by the Band Of Gypsys (Jimi Hendrix)! *NEW!!! 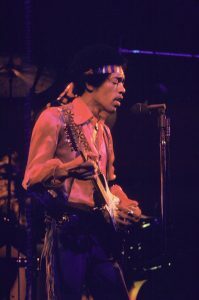 * Learn How to play "Bold As Love" by Jimi Hendrix! NEW!!! 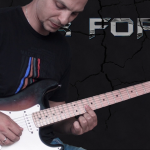 Learn How to play "Bridge Of Sighs" by Robin Trower! 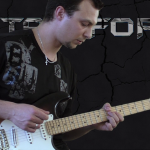 CAGED FRETBOARD SYSTEM - The System that takes your playing to another level! Get it NOW! 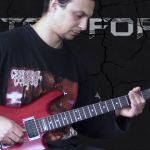 Welcome to GUITARFORCE.COM! This site is dedicated to guitar lessons and here you can find a lot of free videos with Tabs teaching you your favourite songs in different styles. 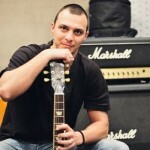 There are four main styles: Alternative, Blues, Metal and Rock. 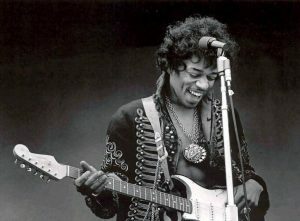 You can find material on artists like Jimi Hendrix, Stevie Ray Vaughn, Eddie Van Halen, Joe Satriani, Eric Clapton and bands like Alice In Chains, Pearl Jam, Mad Season, Stone Temple Pilots, AC/DC, Primus, Red Hot Chili Peppers, Led Zeppelin, Slayer, Pantera, Sepultura, Black Sabbath, Death, Obituary and many more. Besides that there are lessons on theory, different techniques, licks and tricks as well as tone. Hope you can learn something new, but most of all have a great time here. This site is free, but if you would like to Support me, I would be very grateful! Any amount you give is appreciated! Or you can buy a product from the STORE and that way you will support me and get some great information as well! Thank you!